After extensive operational and technical tests, the US Army has selected and type classified the M240B 7.62mm medium machine gun produced by Fabrique Nationale as a replacement for the M60 Series machine gun. This is a ground mounted variant of the original M240/M240C/M240E1 coaxial/pintle mounted machine gun used on M2/M3 Series Bradley Fighting Vehicles, the M1 Series Abrams tank, and the U.S. Marine Corps LAV-Series of Light Armored Vehicles. 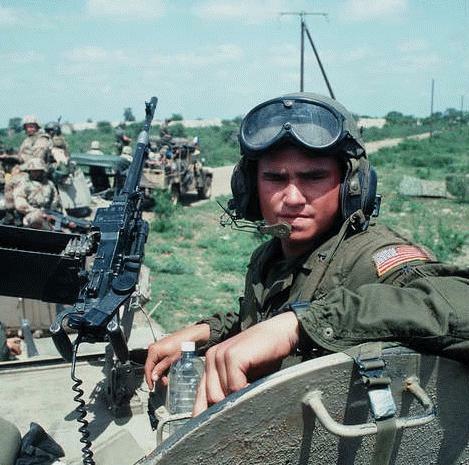 While possessing many of the same basic characteristics as the M60 Series medium machine guns, the durability of the M240 system results in superior reliability and maintainability when compared to the M60. 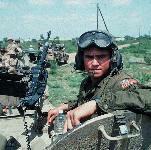 The M240D 7.62mm machine gun is a left hand feed, gas operated, air cooled, fixed head space weapon. The M240D has two possible configurations: aircraft and egress (ground). In the aircraft configuration the M240D has a front and rear sight and a trigger group which accommodates the spade grip device. The ground configuration involves the installation of an Egress Package which is designed to provide downed aircrew personnel with increased fire power. The Egress Package contains a buttstock assembly, a buffer assembly, a bipod assembly, and a conventional trigger assembly. The M240D is issued for aircraft configuration. The barrel assembly contains a three position gas plug. The first gas plug position allows the weapon to cycle at 750 shots-per-minute (SPM). The two remaining ports increase the SPM by 100 each (I.E., gas port position 2 = 850 SPM; gas port position 3 = 950 SPM). The aircraft configured M240D weighs 25.6 lb. and is 42.3 inches long. The egress configuration weighs 26.2 lb. and is 49.0 inches long. 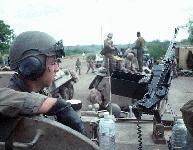 A similar version of the M240, the M240G, is the standard US Marine Corps medium machine gun. The Marine Corps is replacing the M60E3 with the M240G. 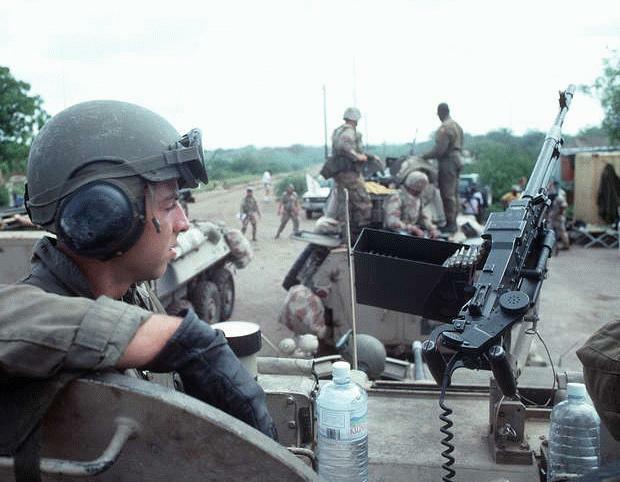 The ground version of the M240 allows for a common medium machine gun throughout the Marine Corps. The M240G Machine Gun is the ground version of the original M240/M240E1, 7.62mm medium class weapon designed as a coaxial/pintle mounted machine gun for tanks and light armored vehicles. The rate of fire may be controlled by three different regulator settings. The M240G is modified for ground use by the installation of an "infantry modification kit," comprised of a flash suppressor, front sight, carrying handle for the barrel, a buttstock, infantry length pistol grip, bipod, and rear sight assembly.